Gowise USA 8-In-1 Electric Air Fryer uses innovative air circulating technology to deliver fried food without any oil. With the Gowise Air Fryer you can enjoy french fries, fried chicken, and many more of your favorite food. Gowise Airfryer uses no oil to prepare your food. This Gowise Airfryer review helps you see all the benefits of using an electric airfryer such as this. If you want to know how to change your life for the better, keep on reading to know more about the GoWISE USA 8-in-1 Electric Air Fryer. 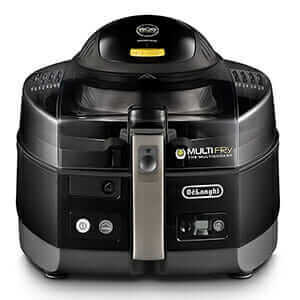 Check also these Best Air Fryers for home use. GoWise USA uses Rapid Air Technology. More precisely, the hot air is circulating around all the ingredients to cook and fry evenly. We’re talking about a temperature range from 176⁰F to 392⁰F. Also, the Gowise Airfryer comes with a timer that allows you to set the cooking time up to 30 minutes. This Gowise USA 8-in-1 electric air fryer offers frying, baking, grilling, and roasting. Of course, the 8 cooking presets are programed so they’re one touch only. Furthermore, the Gowise Airfryer comes with a removable pan and detachable basket. The cool-to-touch handle makes it very easy to transfer food to the serving dish. Of course, safety is one of the most important things when talking about kitchen appliances. With that being said, it’s worth noting that GoWISE USA electric airfryer has an automatic standby mode as well as an automatic switch off. GW 22611 also includes overheat protection to prevent any inconveniences. If storage space is an issue in your kitchen, you’ll absolutely love GW 22611. With the dimensions of 9.5 x 9 x 12 inches, this electric airfryer won’t take up too much space. GoWISE USA thought about the trouble of not having enough storage space for all your kitchen appliances. Finally, Gowise electric Airfryer is the perfect size to store away, or keep on top of your counter. In addition, the settings are very simple. More precisely, the GW 22611 offers 8 pre-sets so your chips or fish are only one touch away. Talking about a powerful machine, Gowise Airfryer will swipe you off your feet. 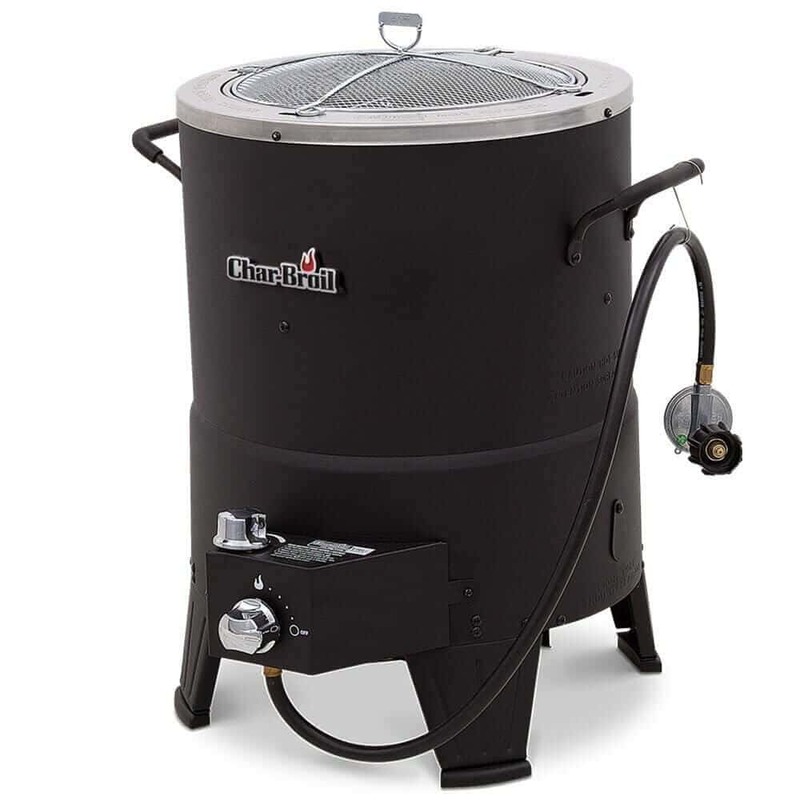 GW 22611 has an amazing 3.7 QT cooking capacity. That’s pretty good for preparing different portions of food and saving your time and energy. Also, this GoWISE USA model runs at 120V/60Hz. 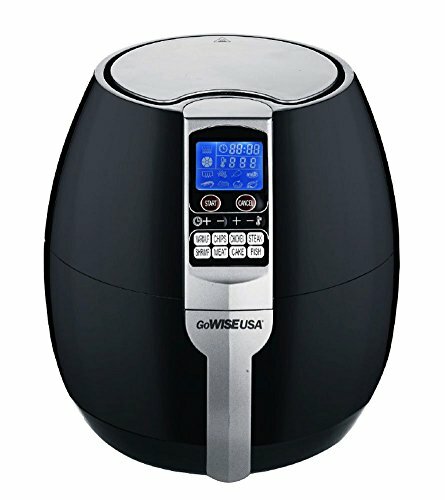 In addition, this Gowise Airfryer is one of the most powerful on the market today. We’re talking about 1500 Watts that make GW 22611 a powerful kitchen ally. Of course, it does all the frying and baking quickly and efficiently. Finally yet importantly, we’d like to mention the accessories that come with this Gowise Airfryer. 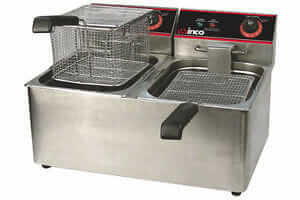 As mentioned above, the fryer includes a removable pan and basket. Besides, the airfryer comes with Gowise Airfryer Recipe book. Of course, the book consists of numerous delicious recipes for fryer, baking, grilling and roasting. GoWISE USA offers a 1-year-limited warranty for all products. The warranty covers defects in materials, when used accordingly. The basket and pan are warrantied for 30 days. Of course, GoWISE USA doesn’t cover damages from misuse, abuse and unauthorized repair. It’s well known that nothing speaks better about quality of the product than the customers. Every Gowise Airfryer review will tell you there’s no one to do the job better. Therefore, the ratings are 4.1 out of 5 stars. No doubt, what fascinates people the most is the ability to achieve the delicious taste without any oil. Each Gowise Airfryer review shows people are happy and pleased with its size, power and, of course, its design. In summary, Gowise USA Airfryer is a great choice for everyone who wants to improve their diet and health. More precisely, frying and roasting your favorite food is now easy, quick and most importantly, healthy. Also, the food you make with Gowise USA 8-in-1 electric fryer comes out delicious, juicy and crispy. 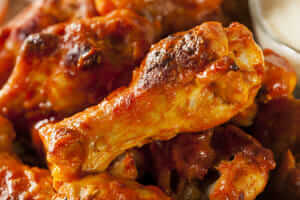 Are you looking to make french fries, steak or chicken wings without oil or any mess that oil leaves behind? 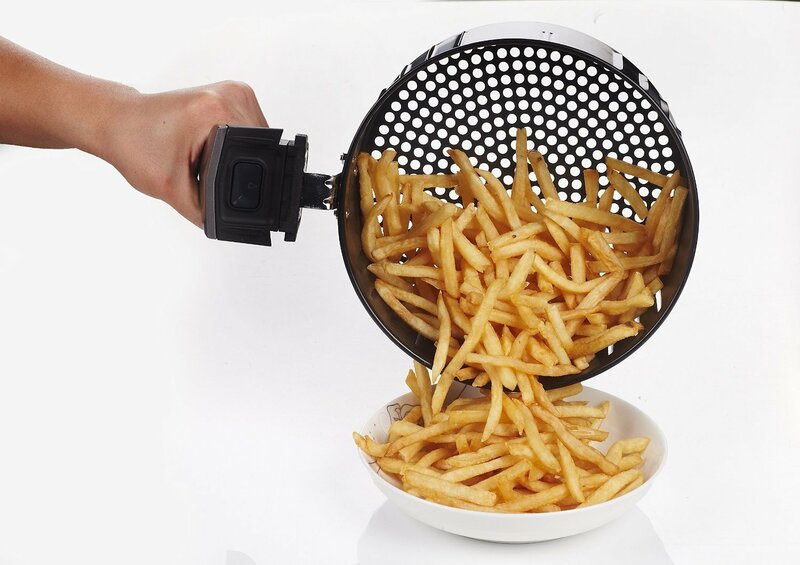 You’ve found the perfect ally to help you improve your overall frying experience. This electric airfryer assures you of its supreme performance with every Gowise Airfryer recipe you try. Gowise USA 8-In-1 Electric Air Fryer works for all your favorite food, making your frying and roasting experience easy and effortless. In other words, you’re now able to enjoy your favorite food without any regret or fear for your health. GoWISE USA Airfryer is the right solution to all your frying, roasting, baking and grilling needs. 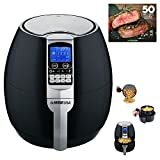 However, if you want to fry Healthy with 75% Less Fat, the Philips XL Airfryer, Power XL Air Fryer or Philips Viva Airfryer, T-Fal ActiFry or Big Boss Oil-less Fryer may be a better option for you. Do you have any previous experience with airfrying? What do you think about frying food without oil? Have you found this Gowise Airfryer review helpful? Let us know and please, feel free to comment down below.